Mount Ararat is the main symbol of Armenia, the dream and hope of all Armenians that one day Armenia will be reunited with its lost territory and regain its former glory. There is only 32 km that separate Armenia from its shrine, and every day the majestic mountain reminds us of our dream. 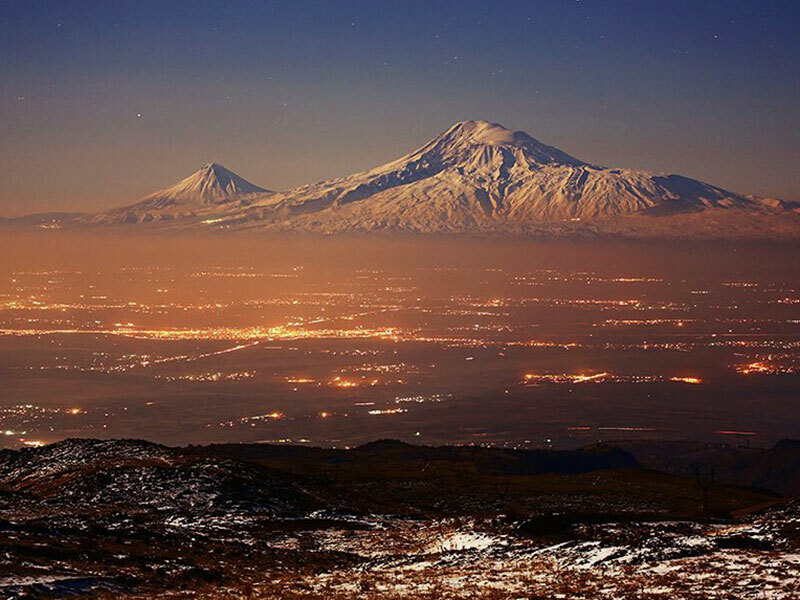 Armenians also call Mount Ararat Masis, and the name has a prehistory. According to one version, the mountain is named in honor of the Armenian king Amasia. According to another version, the word Masis has an Iranian origin, which means “big”. On Turkish mountain is called AgryDag (mountain of pain), on the Persian Kukhi-Nukh (Mount of Noah). The name Ararat began to be used due to the influence of Europe. Masis is a volcanic mountain with two extinct volcanoes Big (height 5165m) and Small Masis (3927m). It is assumed that the volcano erupted around the 3rd millennium BC. Masis is a symbol of arms of Armenia, which in its time caused unjustified indignation from Turkey. The demand to remove the image of the mountain was justified by the fact that the mountain did not belong to the territory of Armenia. In response to their demand, Turkey was offered to remove the crescent moon from the flag, as the moon also did not belong to Turkey. Ararat is not only a shrine for Armenians, but also for all Christians. 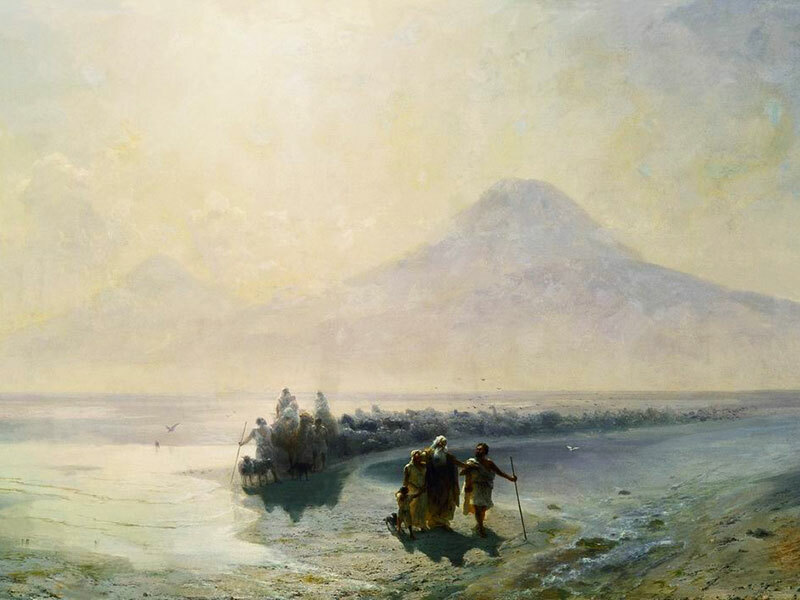 Ararat is the place where Noah’s Ark ascended after the great flood. On the biblical mountain, searches for the remains of the ark are regularly organized. Researchers claimed that on the highest slopes there was noticed the silhouette of the boat. The area where the remains of the ark can be found is 30 km from the mountain. Pictures taken from the aircraft again show something unusual, similar to a ship. Modern technologies and human capabilities may one day help to find evidence that Ararat is A mointain on which Noah ascended. However, in the Middle Ages, the ascent to the holy mountain was considered sacrilege. 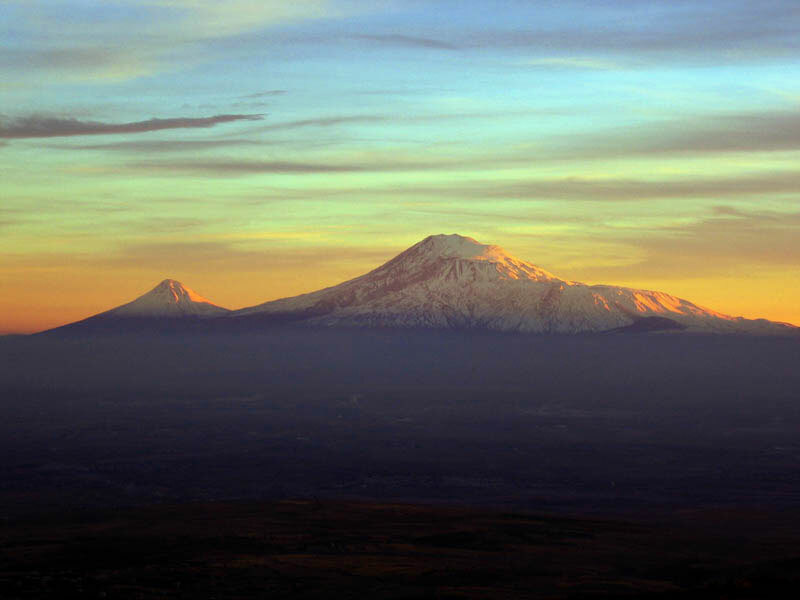 There are several legends associated with Mount Ararat, which were told from the times when Ararat was still part of Armenia. One of the legends tells about the patriarch of Armenians Hayk. He wished to know how many people lived on his land, so he offered everyone to throw one stone. At the place where the mountain now rises, there was a valleyn in those times. They dug a pit, and every Armenian threw a stone. Seven days and nights people threw stones, and finally in place of the valley a huge mountain with two peaks arose. Another legend tells of the god of fire Vahagn, who received a heavy mace made of the sun from the god of light Mihra as a gift. Playing with the mace Vahagn swung and threw it. He searched the mace for a long time on the planets and found it on the ground. When he approached to take the mace, he saw the indescribable beauty of the mountains. Tir, the god of science, found the place ideal for the birth of a god on earth. And the gods called the place Hayk, and Vahagn was ordered to keep the light and warmth with the help of his solar mace. And Hayk was so beautiful that God descended from heaven and walked on this earth. Ararat is surrounded with mysteries and legends and it will take a long time to reveal all its secrets, but it is worth to admire its beauty and majesty every single minute.